Step 1 Bring half a cup of water to boil. Stir in grits, reduce heat to medium-low, and cook, stirring frequently for 10 mins. Step 2 Stir in salt, pepper, and 1 tbsp milk. Reduce heat to low and stir until milk is absurbed and grits thicken, about 2 minutes, then repeat with rest of milk. Calories: 145; Protein: 11g; Carbohydrates: 20g; Total fat: 2g; Fiber: 0g. They may not sound like the ultimate health food, but all those dense carbs can go a long way toward fueling you up. 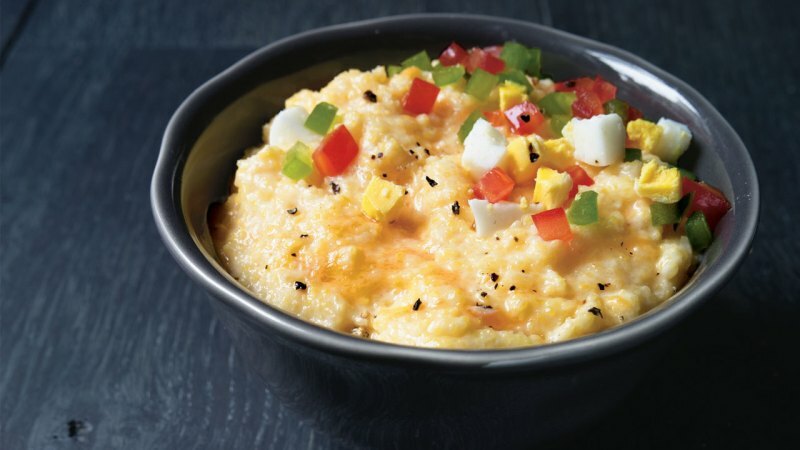 Cheese grits aren’t usually considered the ultimate go-to fitness food. But maybe it’s time we start: They have a pretty solid balance of protein, carbs, and fat, and they’re exactly the kind of dense carbs that your body can digest for a long time. It’s the perfect meal for sustained energy throughout the day.